Add a little glitz and glamour to the party with these beautifully bright sparklers! 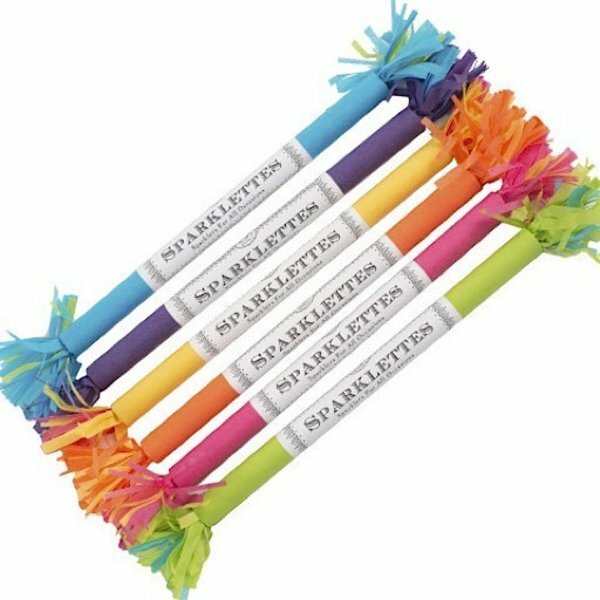 Great for table top decor, party favors, or a hostess gift, Sparklettes emit a gold array of sparks. Strike a match and watch as your friends' smiles light up the night too. 8 sparklers per tube. Color of tube is assorted and will be chosen at random. Adult supervision required.